Christmas is next week! Can you believe it? I feel like December has just flown by. I have no clue where the time went. But now I’m starting to focus on all the holiday parties we will be attending next week and on the one I’m throwing too. In our circle of friends I am known for having unique food and drink options. You won’t find anything typical or routine at my gatherings! So this year with the help of Breyers and Popsicle I am going to be serving some amazing drinkable desserts! Yes, you read that correctly. Drinkable desserts. Here’s the first one I’m going to be serving. Now this one is for the adults, it is non-alcoholic but I have found most kids are not fond of mint. It’s a Chocolate Mintini! You can find the full recipe on Breyers. 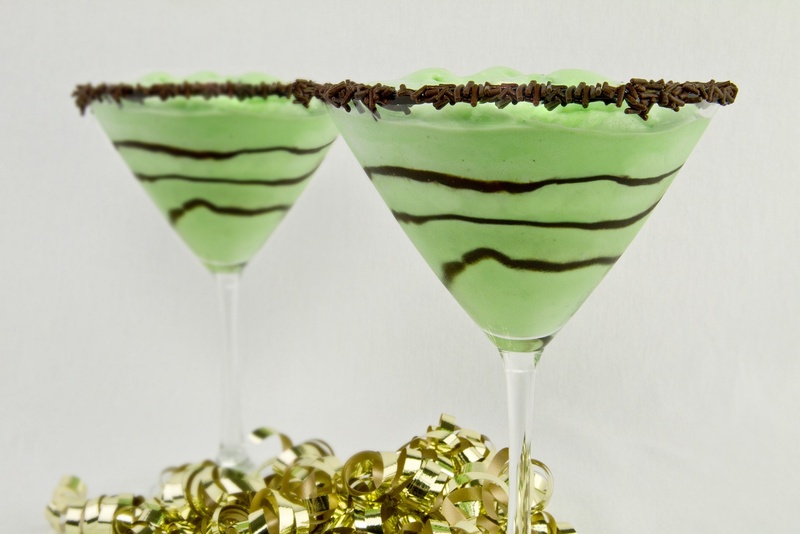 This is a great ice cream drink for all the chocolate mint lovers out there. To have the full holiday effect you will need martini glasses and I highly suggest prepping the glasses and storing them in the freezer if you have the room. You will be able to prep the chocolate sprinkles around the the rim and the chocolate swirls in the glass. Plus freezing the glass will also help keep the ice cream from melting so fast and keep the mintini chilled. 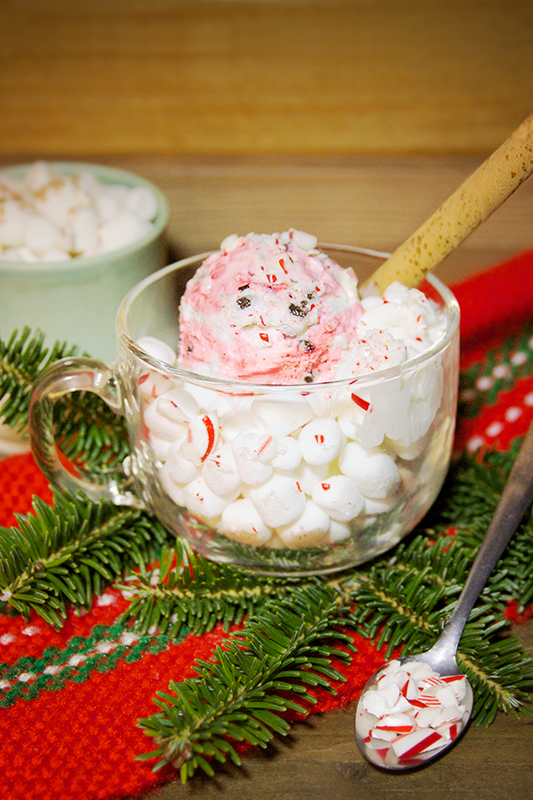 How about a little frozen peppermint cookie “hot chocolate”? It’s a twist on a holiday favorite. There is not a hot thing about this one! But it’s very simple and great for big groups. All you will need is some delicious Breyers Peppermint Candy Ice Cream, marshmallows and whipped cream. Even the kids can make thing on on their own. You can crush up some candy canes and use them as a garnish too. You can find the full recipe on Breyers. This last one is sure to be a kid favorite. The hot chocolate dipper! Make your favorite hot chocolate and fill a mug about 2/3 of the way full. 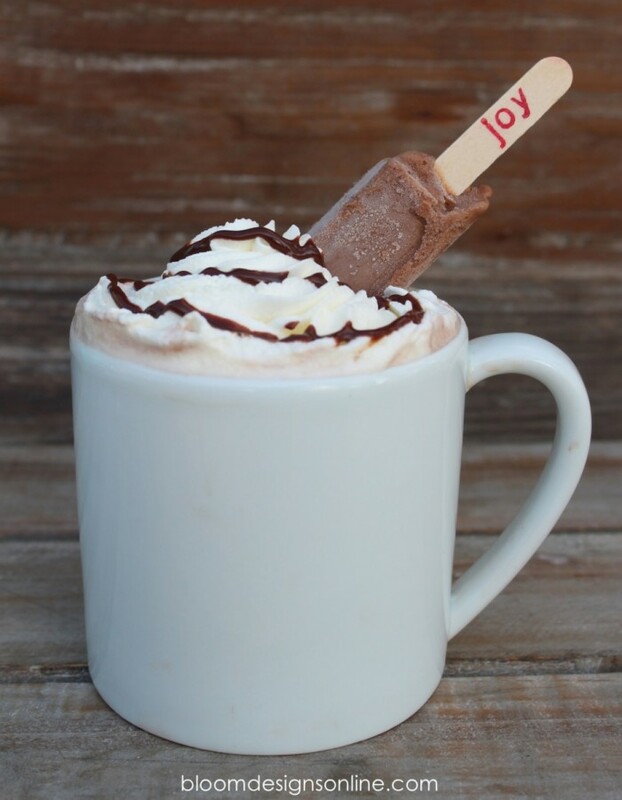 Place a Popsicle Fudgesicle into the mug and top with whipped cream. Sure to be a crowd pleaser. Not only does it cool down the hot cocoa so little ones can drink it but it also ads even more chocolate to the drink! Any of these drinkable, no bake desserts are sure to be a crowd pleaser at your holiday party. Be sure to check back tomorrow when we will be making a Berry Cobbler! I always like to try out new recipes before using them for a party. So this weekend is a test weekend!